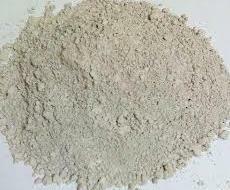 “Diatomaceous earth, also known as Bed Bug powder or DE powder (BUGMAR), is a natural, off-white, mineral powder. BUGMAR is not a pesticide like bed bug sprays. BUGMAR dries out the bed bugs once they touch it. BUGMAR causes insects bed bugs to dry out and die as it absorbs the oils and fats from a bed bug’s body.